One Day More Fitness Blog: The Past Week of the January Yoga Challenge Photos! The Past Week of the January Yoga Challenge Photos! This week I finished the January Yoga Challenge and started the February Yoga Challenge. 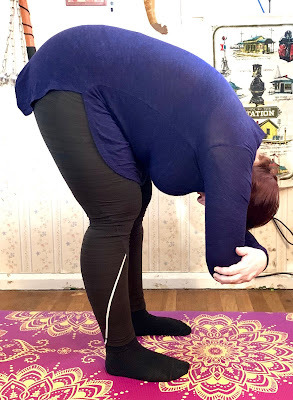 I'm really looking forward to the February challenge because, even though it's a beginner's challenge, it has some poses that I love and haven't done in a while as well as some variations of familiar poses that I've never tried at all! 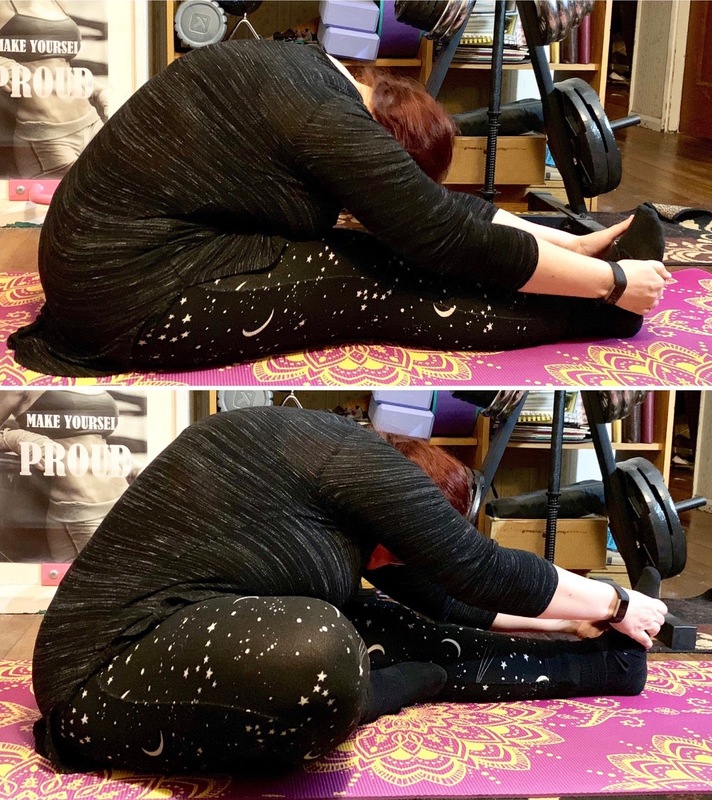 Day Twenty-Eight January Yoga Challenge - Seated Head-to-Knee Pose (Janu Sirsasana) taken from both sides. 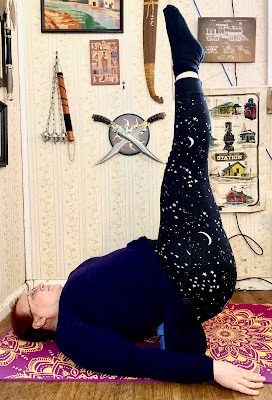 Day Twenty-Nine January Yoga Challenge - Supported Shoulderstand Pose (Salamba Sarvangasana) using yoga blocks. Day Thirty January Yoga Challenge - Plow Pose (Halasana) using yoga blocks. 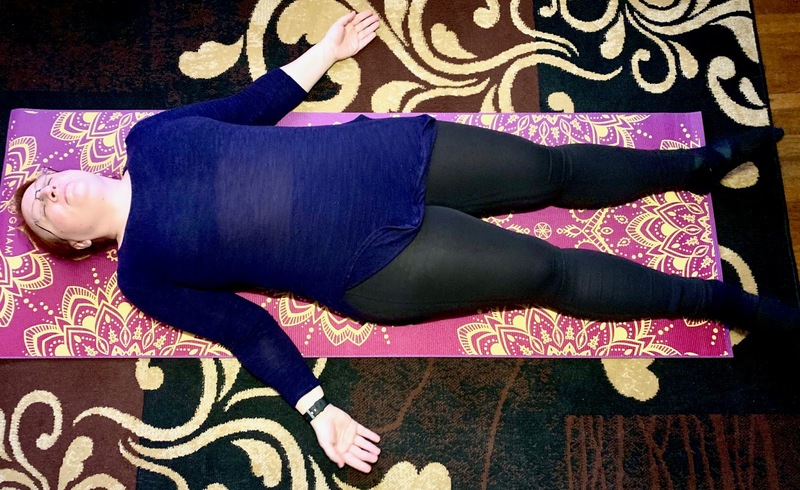 Day Thirty-One January Yoga Challenge - Corpse Pose (Shavasana). Day One February Yoga Challenge - Easy Pose (Sukhasana). 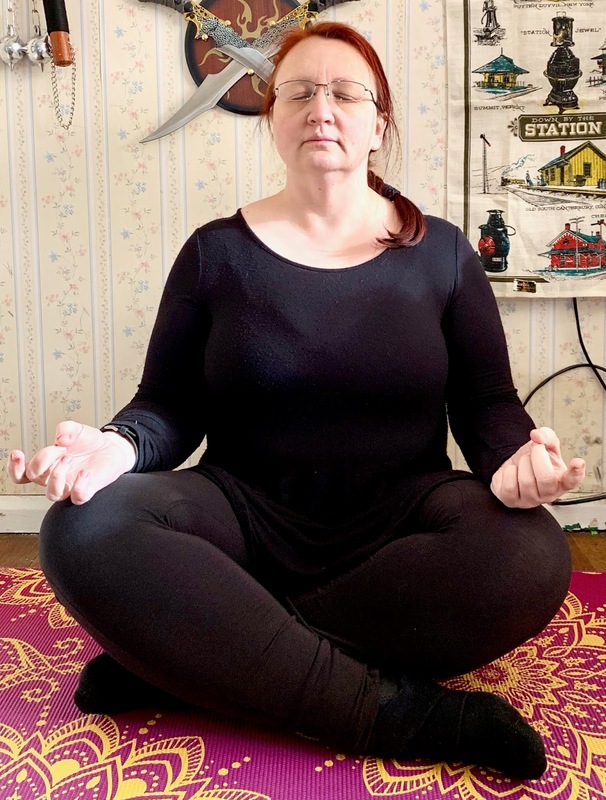 Day Two February Yoga Challenge - Mountain Pose (Tadasana). Day Three February Yoga Challenge - Ragdoll Pose (Utanasana variation).